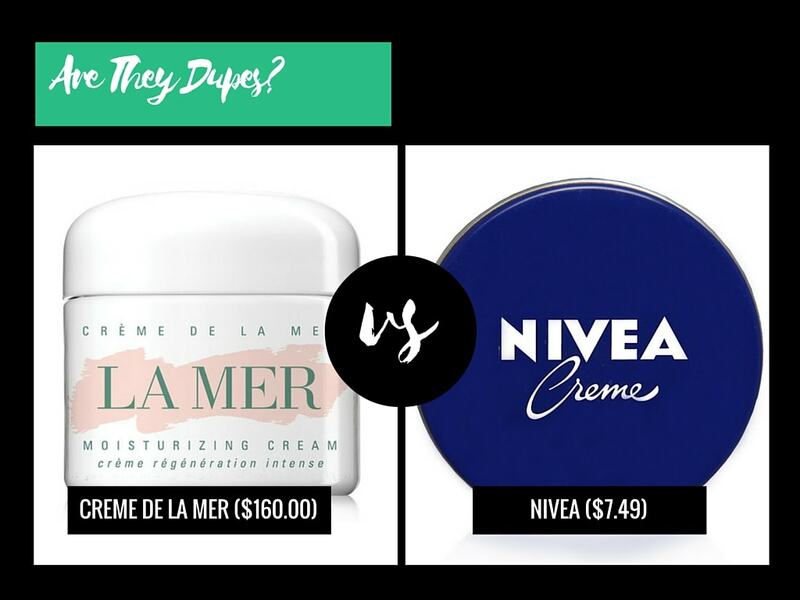 Is Nivea Creme Really A Dupe For Creme De La Mer? A few weeks ago, I reviewed Creme De La Mer, a fancy moisturizer with an outrageous price tag. It may have been developed by a NASA scientist, but its boring formula doesn’t contain anything revolutionary. Far from it. Its main ingredients are so basic and common they can be found in most creams, including Nivea Creme. In fact, the two are said to be dupes! But is that hoping too much? Mineral oil gets a bad rep because it’s derived from oil. But half of the ingredients used in cosmetics are, and most of them don’t attract the same vicious criticism. And nope, they’re not dangerous. Not even mineral oil. That’s because all the nasty and toxic stuff has been removed through a rigorous purifying process. Cosmetic grade mineral oil is safe, and one of the most moisturizing ingredients available today. It works by creating a barrier on the skin that slows down water loss. But that’s not the only reason why it is so widely used. Mineral oil is also non-irritating and noncomedogenic (but if you use products with comedogenic ingredients, they will get trapped under the barrier mineral oil creates, and that could lead to breakouts). Like mineral oil, petrolatum is derived from oil, purified and safe. It doesn’t penetrate skin, but remains on its surface, where it forms a water-repellent film that keeps skin moisturized. It also helps reduce inflammation and heal skin. But only Creme De La Mer and the US version of Nivea Creme use this ingredient. It’s why they are greasier and stickier than the German version. It seems like every skincare product contains glycerin, doesn’t it? That’s because glycerin is a good humectant that can attract water from the environment into the skin, hydrating it. Together with mineral oil and petrolatum, it makes these thick creams godsends for dry skin. I was disappointed to see that both the US version of Nivea Creme and, especially, Creme De La Mer use Methylchloroisothiazolinone and Methylisothiazolinone as preservatives. People make a big fuss about parabens, even though there is no proof (at least yet) that they’re bad for our health, yet they ignore Methylchloroisothiazolinone and Methylisothiazolinone, which are considered to be the most irritating preservatives used in skincare! Please, someone tell me where’s the sense in that? Is it because their names are so difficult and impossible to remember that no one pays any attention to them? Well, if you have sensitive skin you should. Just so you can avoid them. It’s true that a lot of people can use them without experiencing any side effects. I do. But, even so, I’d have expected fancy Creme De La Mer to have a better, safer preservative system. Nivea is cheaper, so I’m more forgiving towards it. Those mentioned above aren’t the only ingredients all three creams have in common. They also use the same emollients and thickening agents, such as mycrocrystalline wax, lanolin alcohol, and magnesium stearate. This means the base of Creme De La Mer and Nivea Creme (US version) is pretty much identical. They’re both very similar to the German version, the main difference being the lack of petrolatum in the latter. Although super similar, Nivea and La Mer aren’t 100% identical. Creme De La Mer contains a bunch of antioxidants, which, at first sight, makes it a much better option than the cheaper Nivea Creme. That’d be the case if the cream weren’t packaged in a jar. Antioxidants are very delicate ingredients and they lose a bit of their effectiveness every time they are exposed to light and air (every time you open the jar, basically). So, if you’re buying Creme De La Mer because of its antioxidant content, you’re wasting your money. Creme De La Mer also contains seaweed extract, which undergoes a fermentation process that makes it produce lactic acid. Lactic acid is an alpha hydroxy acid (AHA) that has exfoliant properties: it can make skin look brighter, smoother, and more even-toned. But there really is no need to spend so much for it. Creme De La Mer, which costs an outrageous $160 for 30ml, is available at Nordstrom and Harrods. Nivea Creme (US version) can be purchased at Drugstore.com. A 200ml jar costs only $7.49. The German version is available at Boots for £3.39. So, Is Nivea Creme A Dupe For Creme De La Mer? Creme De La Mer and Nivea Creme are very similar but not exact dupes. They’re both basic moisturizers that make even the driest of skin feel soft and smooth for hours. Creme De La Mer is slightly better because it contains seaweeds that produce lactic acid, but that’s not enough to justify the high price tag imo. Have you tried Creme De La Mer or Nivea Creme? Helena, it’s a nice basic cream, isn’t it? Great article. I happen to be in Mexico City and picked up some Nivea, usually I order it from Germany, however I did notice that the mexican brand did NOT contain petrolm. any thoughts? Rye, they probably took it out because not everyone likes to use it. But I’m sure it’s still very moisturising. I JUST RETURNED A $500 JAR OF LA MER BECAUSE AFTER MINIMAL USE I BROKE OUT IN RED BLOTCHY RASHES PLUS BURNING AND SWELLING SKIN AND TEARING, ITCHY EYES! I NOW USE THE GERMAN FORMULA NIVEA ON NOT ONLY MY FACE; RATHER MY BODY AS WELL WITH GREAT RESULTS AND FOR $15 FOR 13.5 OZ IN A HANDY TIN CONTAINER MAKING IT FAR SUPERIOR TO LA MER IN POSITIVE RESULTS, PRICE AND AFFORDABILITY. I ALSO BELIEVE THAT GERMAN NIVEA WAS ON THE MARKET MANY YEARS BEFORE LA MER WAS DEVELOPED AND LA MER’S INGREDIENTS ARE TOO SIMILAR TO NIVEA’S TO MAKE IT AN ORIGINAL FORMULA! I BELIEVE THE RUMOR: NIVEA WAS TWEAKED TO CREATE LA MER AS MORE THAN JUST A POSSIBILITY…TWEAKING IS COMMON PRACTICE THROUGHOUT THE COSMETIC AND RETAIL INDUSTRY SO IT’S NOT SURPRISING! Joan, sorry to hear about your awful experience with La Mer. I’m not sure which cream was made first by Nivea is the better option indeed. It does the same thing but at a fraction of the cost. Plus, it has fewer ingredients so there’s less chance it’ll irritate your skin. I FORGOT TO MENTION THAT MY WONDER DOG GINGI; A RARE WIRE HAIR CHIHUAHUA, HAD A BREAK OUT ON HER BELLY OF ITCHY BLEMISHES. NIVEA WORKS FOR ME SO WHY NOT FOR GINGI? I CLEANED THEN APPLIED A THIN LAYER OF NIVEA OVER THE AFFECTED AREA ON GINGI’S BELLY AT NIGHT AND IN THE MORNING , LIKE MAGIC, MOST OF THE BLEMISHES WERE GONE. A WONDER CREAM FOR ALL TYPES OF SKIN FOR ALL LIVING CREATURES. ( NOT RECCOMENDED FOR FISH, OR REPTILES) …? Purva, glad you enjoyed it. Mineral oil and petrolatum are derived from PETROL NOT FROM OIL, petrol is not good for our skin, and the skin becomes dry and sensitive if you keep using nivea stuff. It’s the worse brand after Dove. Nora, in my neck of these woods, they are synonyms. Sorry if that confused you. Yes, they are derived from petrol, but, they are not petrol. These both go through purifying processes at the end of which their molecular structures look different from that of petrol.. Slathering mineral oil on your skin is not the same as slathering petrol. They are two (or three in this case) different things, with different properties, and different side effects. ARE EXTRACTED AND PROCESSED SAFELY TO REMOVE ALL IRRITANTS AND NEGATIVE QUALITIES . THE MOLECULAR MAKE UP OF VARIOUS COMPONENTS CHANGE DURING PROCESSING RESULTING INTO A SAFE COMPOUND FORMULA WHICH HAS TO BE DONE IF SOLD HERE IN THE USA; WHERE THE FOOD AND DRUG ADMINISTRATION MUST DIAGNOSE TEST AND APPROVE ALL SKIN CREAM INGREDIENTS SINCE THEY ARE ABSORBED THROUGH THE CELLS INTO THE BLOOD STREAM! I HAVE NEVER USED DOVE SKIN BUT NO MATTER THE CLAIMS OF HYPOALLERGENIC OR NONCOMEDEMIC….THERE IS ALWAYS SOMEONE WHO WILL GET A NEGATIVE REACTION TO ANYTHING NO MATTER THE CLAIMS! Joan, couldn’t agree more. It’s not the most beneficial but it’s safe. And you’re right, everyone could get a negative reaction to anything. Yeah they can be purified, but they still derived from something bad like the petrol… they don’t have any good benefit for the skin…just doing an artificial barrier on the skin, which yes can keep the water in the skin tissues but it doesn’t give nothing to the skin in terms of for example fatty acids, vitamins or something that it can work good with our skin. The big brand like Nivea, Or Dove but also some famous brand put this ingredients in the cream just because are cheap and in the most part of cases they don’t cause reactions because are neutral and they give this sensation of hydration while you apply on the skin… But your skin still dry, and if you keep using for a while and then you stop all the skin damages are going to appear, because there wasn’t nothing in it.. If your skin miss something you need to give active ingredients, possibly natural or chemical made in the right way of course. Nora, that is a good point. It’s true they only create a barrier on the skin, but that can be extremely helpful if your skin is very dry and needs water to stay in. 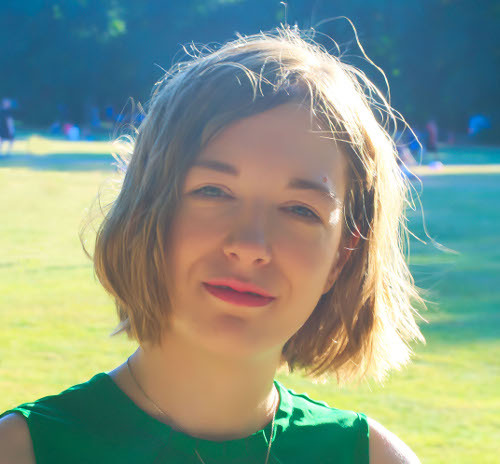 Having said that, I believe they should be used together with more nourishing ingredients, like vitamins and fatty acids, that can benefit skin at a deeper level. When they are the only thing in the formula then, yes, the product is very underwhelming. Annie, sometimes, simple is just what skin needs. But don’t waste money on La Mer. Nivea does the same thing at a fracyion of the cost. Omg, I totally disagree. LA Mer vs a drugstore brand, I don’t think so. I tried Oil of Olay after reading so many 5 star reviews, My face literally was puffy and red after one use of the regenerative serum, moisturizer and eye cream. Sure a fraction of the cost of La Mer, but you get what you pay for. I don’t even use Nivea body lotion, the quality is poor in comparison to higher end brands. And how can you compare the ingredients in Nivea to La Mer, there are at least 15 additional ingredients listed on the La Mer brand. I use La Mer and I promise I will. not venture off again to try an cheap store brand. After the fiasco with Oil of Olay, I gently washed my face and applied my La Mer products and honestly within a couple of hours, my face was relieved from the puffiness and the redness subsided. I know some people can buy a drugstore brand and have no problem, but to say it’s better just isn’t true. Roseyk, I have to disagree with you here. Just because you had a bad experience with Oil of Olay, it doesn’t mean that all drugstore products are inferior to La Mer. La Mer uses the same ingredients all other companies, both high-end and drugstore, do. Yes, there are some duds in the Oil of Olay line but I like them because they are one of the first brands that used niacinamide, which is one of the best things you can use for your skin. There is nothing nearly as good in La Mer. In fact, the base is simple mineral oil and petrolatum! They form a film on the skin that prevents moisture from evaporating, but that’s all. Compare that with niacinamide, which can reduce the appearance of wrinkles and dark spots, treat acne, hydrate skin and soothe irritations. Of course, even the best products don’t work for everyone. There is always the chance you can be allergic to something, which is what I think happened to you. But the truth is that there isn’t anything special in La Mer. It’s the first five ingredients that make up the bulk of the product. In La Mer, these 5 are the standard stuff used by the cheapest brands. All that extra stuff in La Mer is present in way too low amounts to do anything. Keep using it if it works so well for you but it’s wayyy overpriced for what you’re getting. I do think so! Just because something is sold at a higher price doesn’t always necessarily mean it’s better. Have you never heard of brands charging ridiculous prices for basic, sometimes useless products just for their famous name? I agree that just because you have one bad experience with a product doesn’t make them all bad. I for example broke out from a Lancôme creme… is your head blowing up yet? Because that is an pricey high end brand. I have been through a ton of moisturizers before, including a overhyped Kiehls one, and always keep coming back to the good old Nivea. It has never ever caused any issues, in fact my skin has never looked any better since I started using it. Don’t be a consumer sheep- not all that costs a bomb means it’s the best for you. A lot of the times you pay for the name, other times it’s a hit or miss. All I know is that La Mer with its fancy price tag is never replacing my trusty good old Nivea. Sometimes the most basic ingredients are the magic! Bee, well said! I have to say I’m not the biggest fan of Nivea either because it is a bit too basic for my needs, but La Mer is just an overpriced version of it. There really is no need to splurge that much for it when you can get the same thing at a much cheaper price. I have extremely dry skin after a shower. I was using ponds for dry skin and I didn’t feel that was enough. My mom told me to try nivea. I bought the little tin for a buck. It’s a little too thick for my taste so I mix it with coconut oil. I keep both jars next to each other. I don’t have the patience to pat at the nivea until it’s absorbed either. Lol I finally purchased the large jar last week. I’m glad I made the switch. You can tell that I’m not a teen anymore, I’m 31, but my skin looks younger than some 20 year olds. I don’t have wrinkles around my eyes, the creases on my heck have lessened a lot. I love the combination that I use. Lorena, thanks for sharing. So glad it’s working well for you. Hello Gio – thanks for the article comparisons. Now, I feel more informed which I know will help my decision making when it comes to skin care. I agree with all the opinions stated here whether they are pro/against…one thing though we must always remember – as one stated here, “different strokes for different folks” and we all have to consider age, hormones…etc…ALL are factors that help determine what products/brands work best for EACH of us. It took until my mid-40’s to realize that I really need to pay attention and take care of myself overall. I’ve always coveted the Crème de la Mer but was always out of financial reach for me but have seen quite GREAT results from my aunt who swears by it and have been using for the past 30+ years and she looks [email protected] good! 😉 Now she offered me a 1 oz jar (her BFF works for Este Lauder so she gets really good discount) and I will say that it does what is claims and really pretty much all of the products I use. The one thing I do that I don’t hear a discussion about is that I do interchange my products routinely and has worked very well for my skin. I find that if I use a certain product on a continuous basis, it somehow looses its efficacy…please correct me if I’m wrong with my thinking but that’s just how I noticed with my skin. Brands I have in my “beauty box” – all year round are – Crème de la Mer (sparingly and only at night), Cerave moisturizing cream, Nivea crème (German version – I don’t know why I chose that but I prefer the consistency of it compared to the US version) and LXMI (Nilotica Shea Butter/relatively new on the market – the brand I mean not Nilotica) – ALL works awesome for MY combo skin – oily with dry patches and sometimes eczema. The amount I use is all dependent how dry my skin is. All of the products I use have skin loving ingredients that helps with age, sun/toxins protection and hydration/healing components. With all of that sai, I just wanted to share my experience as well as say Thank You for the comparison breakdown. Grace, thanks for sharing your experience. I’m not surprised Creme de La Mer works so well for your dry skin. It’s a very moisturizing cream and, like the other creams in your stash, really helps a ton to keep skin soft and smooth. My only concern with Creme de La Mer is that it’s pretty low in antioxidants. When skin is well-hydrated, it looks plumper, which in turn makes wrinkles look smaller. But, without retinol, vitamin C, antioxidants etc you can’t significantly up the production of collagen or fight the free radicals that cause wrinkles. I’m not saying you should give up Creme de La Mer if you love it, but the products you mentioned don’t contain as many antioxidants as your skin needs. At the very least, add an antioxidant serum to your stash. Thanks Gio. Appreciate your reply. Thanks for the article! Does Nivea creme (german) contain any ingredients that may clog pores? Jules, if used alone, not it doesn’t. But it has paraffinum liquidum, so if you apply any products with comedogenic ingredients before Nivea Cream, the cream will trap them into your skin, increasing your risk of breakouts. I have used both Nivea and La Mer. Currently have them both in rotation. I love Nivea for these winter months. Provides enough moisture for the harsh cold that typically make my skin dry. La Mer is very expensive for me, so I use sparingly. It’s great for blemishes, cuts, abrasions from waxing, threading, microdermabrasion or laser treatment. 3-5 days use the La Mer. Marks are gone and you look fabulouss! I love them both for different reasons. Candice, I understand where you’re coming from. It’s not always possible to find dupes with 100% identical ingredients. Sometimes, something that’s close enough will have to do. And as algae is hardly a miracle worker and the other ingredients are pretty much the same, I think both creams will give you the same results. Either way, Creme De La Mer definitely isn’t worth its outrageous price tag. My mom turns 64 next month and has only used Nivea cream (RELIGIOUSLY…multiple times a day, she carries the little tins everywhere she goes) for as long as I can remember. Granted she has never worn any sort of skin makeup and only washes her face with warm water, but she was a sun worshipper for YEARS (im talking using COOKING OIL to tan darker and laying out for HOURS + tanning bed use) and never did nor does she now use sunscreen and her skin looks amazing!!! I’m sure there’s a “good genes” factor there but I think the Nivea part is huge. I use it also but saw Kate Hudson post about how she has used La Mer since she was 13 so I was like, “maybe I need this in my life??!”. I’m 37 and I have some smile lines I don’t like. When I saw the price tag tho I about fell over!!!! Thanks for this…I think I’ll stick with my giant pot of Nivea!! Hi, I work with skinnare and make-up and have Done that for 27 years. I have tried so many products and brands within these years and have to say that cheaper brands like Loreal work just as good as lancome and biotherm. My favorite right now is Rodial that have really good and affektive products. My dad is 75 and have used Nivea cream since I was a child and his skin is really good. I use it on my dry hands and on my lips during the night and I love it. I’ve used so many moisturizers for my dry, sensitive, red skin. I recently tried La Mer for the first time (I’m 38) and will never use anything else. It has truly changed my skin. Not saying it’s right for everyone, but it has made a world of difference for me. I’ve used La mer for a year and yes it’s a very good cream, BUT I agree not magical and not very different from other creams, including Nivea. Usually the difference in skin appearance is coming from the diligent use of a new and richer product, not so much the product it self. I would recommend using sea weed extract which is pretty affordable , which is apparently the secret inside the cream. So in other words a drop of the extract in a bit of Nivea is offering about 100% or more the benefits of the famous creme La Mer. Same thing like all the famous expensive products containing hyaluronic acid which is a very cheap product on its own, and anyone can mix a bit in their products. Also people should look around for similar products, like Weleda skin food which is also a thick cream containing sea weed extracts. Lily, thanks for sharing. I completely agree, no need to pay more when you can get the same thing for much less. Michelle, the German version is better just because it contains less irritating preservatives. Oh boy lol!!! I found a little tub of this at a college rental I cleaned and it looked familiar, it was brand new unopened, last night I tryed it. OMG. Ok so then started research, I can afford 100 a month on this, but then I came across this forum and am DEFINITELY trying the nivea, I haven’t found ever a cream I like, I’m 50 but people say I’m 39, I take care of my self, 100 a month is one thing but then I saw 500 and up seriously what a rip! Today after leaving the hotel I only had on the lamer cream and got a compliment, I liked how I looked Dewey, and also had a few blemish spots that flaked off just now, I live on the beach in Miami too and in the sun a lot so this is all new, I’m getting the Nivea tomorrow and compare them, I hope the Nivea works! Kai, I’m sure you’ll like the Nivea too and it’s so much cheaper! Kelly, try looking for a German website that ships worldwide. You can find the German version at Smallflower. https://www.smallflower.com/ I just ordered it based on this review. A friend sent it to me and said she’s been using it and really likes it. Nivea is older than La Mer (1945) so can’t see how they are dupes. Nivea ( Beiersdorf founded in 1882) hit the market in 1911. So La Mer imo is the copycat. Paul, I use the word dupe loosely for products that have very similar formulas. Nivea Cream and La Mer aren’t that different. The cheaper version will do just as well.